Our ProREZ ProSpartic is a low odor, high-solids, clear, aliphatic polyaspartic designed as a mid, grout/top, and finish coat for both industrial and decorative finishes. 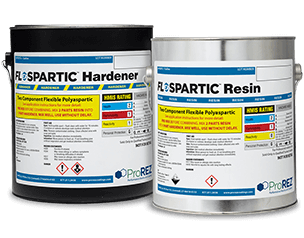 It offers good balance in both working and cure times, with our F-Resin providing a 3-4 hour cure for 1 or 2 day “Fast Track” projects. 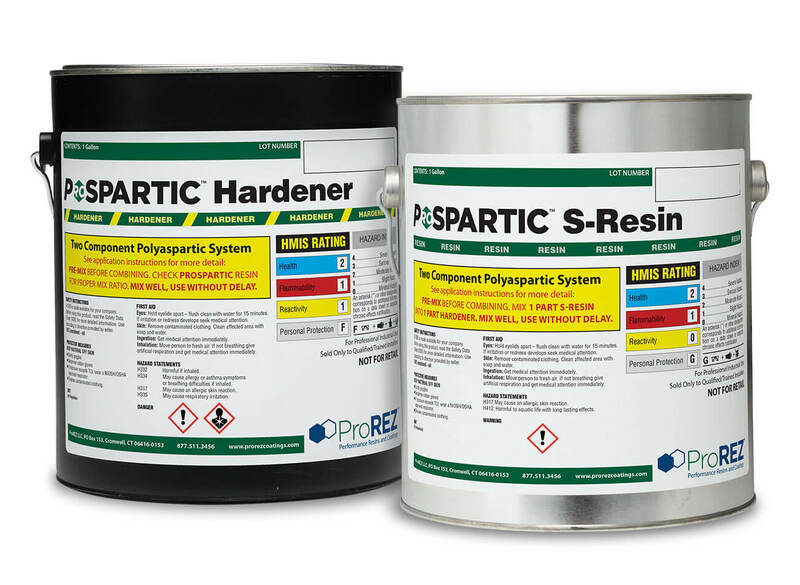 While our S-Resin provides some 25 minutes working time with a 6-8 hour cure. Low temperature curable down to 35ºF and high temperature resistance when cured up to 250ºF. Lower viscosity allows for good wetting and grouting while providing excellent UV protection, chemical, stain, and abrasion resistance for long-term wear and durability. ProREZ also offers FlexSpartic, a unique, 100% solids flexible polyaspartic designed as a grout/top coat for our high impact resistant, anti-fatigue FlexKrete FlexFloor decorative resurfacing system. ProSpartic is a low odor, high solids, aliphatic polyaspartic coating designed to be used as a clear or pigmented UV stable intermediate or grout/topcoat. Ideal for “Fast Track” projects and for use as a seal coat over decorative finishes. Reference technical data sheet for more information. FlexSpartic is a uniquely versatile elastomeric hybrid polyaspartic coating. It is a clear two component thermosetting, low odor, 100% solids flexible aliphatic resin designed as a broadcast and grout/ top coat for the ProREZ FlexKrete system. Reference technical data sheet for more information.